Infant (0-6 Mos) - $26.99 Only 1 left! Your little one's first Halloween might just be another naptime to him or her, but to you and your friends, it could be unforgettable. How so, you ask? Well, you know when you go to the county fair and sometimes you find those games of chance to play and hopefully win a prize? That prize can range from a cute teddy bear, a stuffed banana, or even a little goldfish! 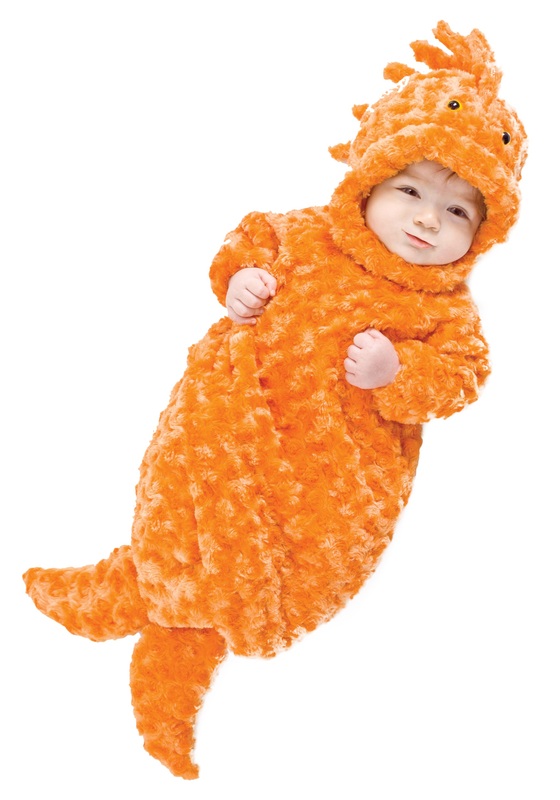 Now your newborn can become the cuddliest goldfish ever when you pick up this bunting costume and slip it on. This is a great costume for fun pictures or your baby's first Halloween—or, you know, just swaddling him or her to sleep when you need a break or some rest of your own. Just keep out of sight of the cat!